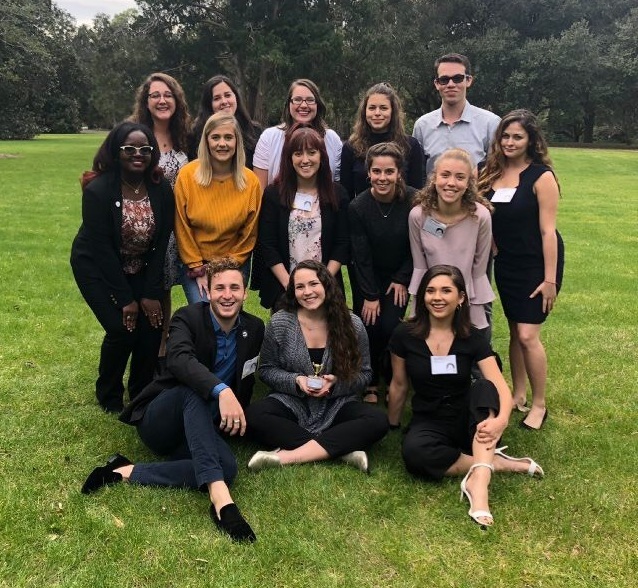 UF PRSSA traveled to Statesboro, Georgia this weekend to attend the first PRSSA Regional Conference of the year. Over the course of two days, members listened to the stories of guest speakers, networked with other students and professionals, and worked through “The Office” themed crisis workshops. Haynes described reputation management as influencing and controlling the public perception of a person or organization. The Queso Competition, Three Amigos Taco Competition and Mean Tweets are all great examples of PR campaigns that Moe’s implemented to boost their reputation. Another point Haynes made very clear is that authenticity plays a major role in brand personality during a crisis or a PR campaign. As a company, you need to stay true to your values. However, it is important for you to be able to separate your own personal brand from the company’s during this process. As an employment branding strategist, you have to constantly look at how your company is perceived by consumers, employers and potential applicants. Knowing how to promote the company’s culture, environment and leaders to the public is essential. When it comes to dealing with a crisis, having a team is important because it brings people of different backgrounds together and offers different perspectives for every scenario. Always have a seat at the table. Doing so will ensure that you are fully immersed in the company’s culture and leadership. Be proactive. Always plan ahead for things that could happen, because things are always going to happen. Older Post"What Are You Planning On Doing With That?"